Join us Saturday, February 9 for the DCHS Annual Meeting of the Membership. 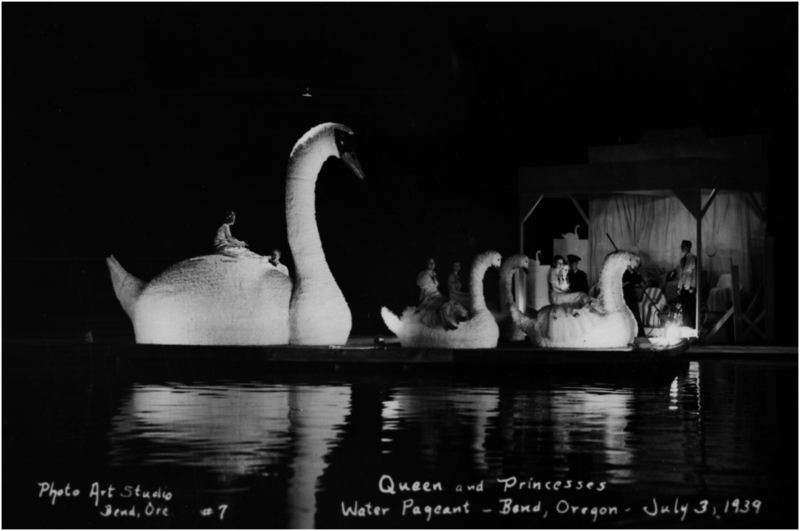 At this year’s annual meeting, in addition to updates on the state of the society and projects for the upcoming year, DCHS Vice President Sue Fountain and Executive Director Kelly Cannon-Miller will present on the history of Bend’s Water Pageant. Sue Fountain is currently developing a dedicated archive on pageant history. Members are encouraged to bring family stories about the pageant to share during the presentation and learn how members can help us preserve this important event of days gone by. Lunch is catered by Paula Simila, featuring Tavern Chicken Pot Pie and Beef Stroganoff from the Pine Tavern Cookbook, recently reprinted by the Society for sale in the museum book store. Cost for the luncheon is $12.00. RSVP by February 7 by calling the museum at 541-389-1813 or emailing us at info@deschuteshistory.org. Please indicate chicken or beef preference.